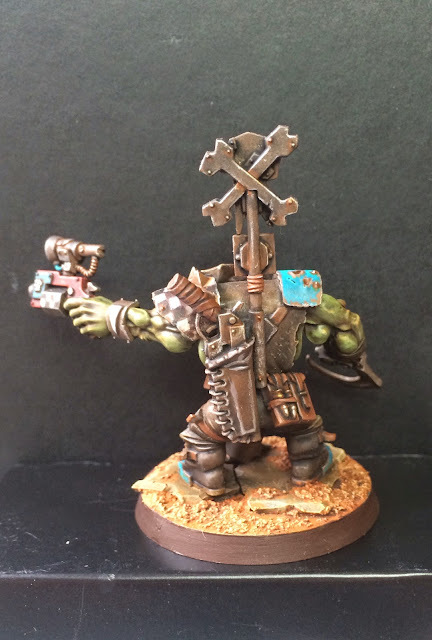 Mr. Orkshmael all painted up and reporting for duty. Spot on. Love the hook and the yellow bandanna is perfect. I´ll try to take some better pics later this evening when the sun´s not up. These ones came out a bit overexposed. The stripes on the bandana will be more visible then. 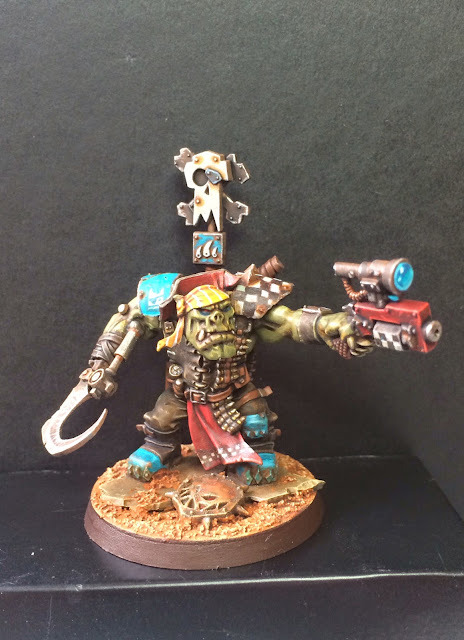 Some smashing colour choices there mate - not your run of the mill Orks but fits the theme superbly. Good spot on the glyph - very nice touch. Also on the lens, I like that a lot. yeah - the lens effect came out good for once! 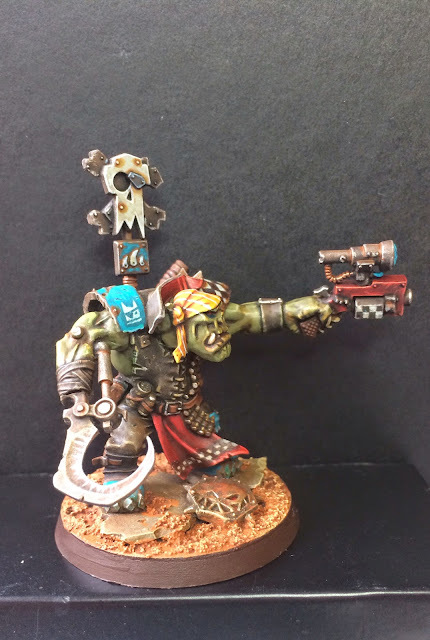 I haven't really seen anyone else online working with the new Flash Gitz, which is a big shame. Naturally, when I saw I missed a couple of your recent posts and they were Freebooters, I got excited! You sure do like Talos claws don't you? 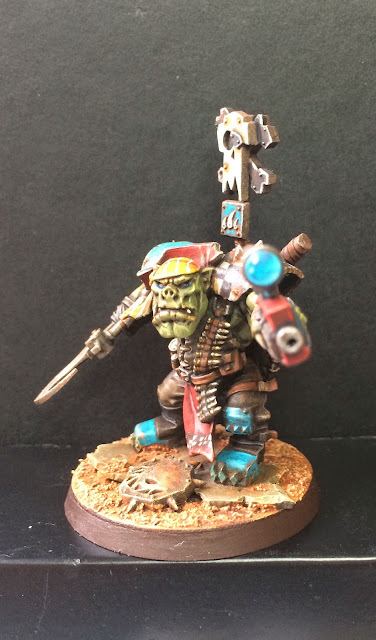 It is a really good fit for the model, nothing quite like a crude bionic for an Ork pirate. I love talos kit in its entirety - one of the best sources of bits ever!